ScienceDocs provides comprehensive support for start-up companies, individual researchers, entrepreneurs and other professionals seeking Phase I, Phase II or Fast-Track SBIR grants as well as STTR grants. We have worked with clients who have sent successful proposals to HHS, NSF, DoD and other institutes. The recent trends suggest that any given grant proposal needs every advantage it can possibly get to be funded. 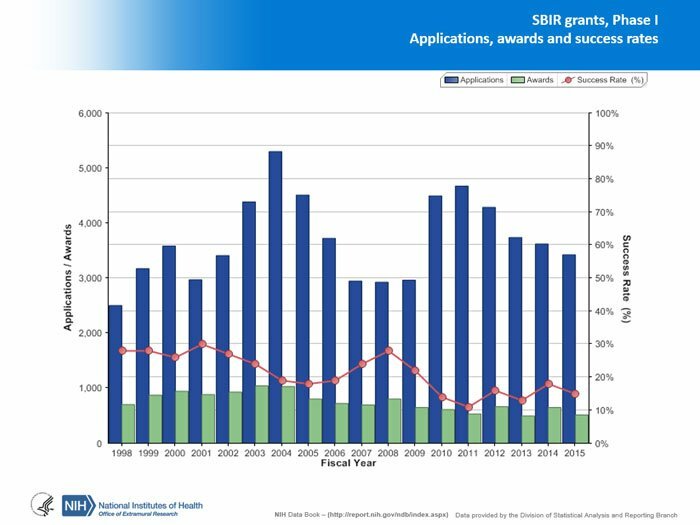 The red line in the graph to the left represents the success rate of funding for submitted (or resubmitted) SBIR grant proposals from 1998 through 2015. As you can see, the rate back in 1998 wasn’t high, hovering around 30% or less. This rate has gradually fallen to around 15% and since this time there has not been any indication that this will improve. 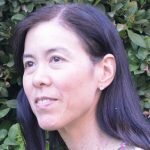 Research funds in general have not kept up with inflation and the competition for this small allotment reserved for SBIR grants is quite fierce indeed. The appropriately-colored green bars represent funded proposals. We are here to do everything we can to secure this funding for our clients, as most of our business comes from repeat and referred clients. So your success is indeed our success. Due to the wide spectrum of expertise in our SBIR-focused core group above, coupled with the larger pool of experts here of every field, we have you covered. Our services include SBIR grant writing, editing, statistical consultation and highly-specialized content writing. We also work with several contracted patent attorneys should there be a need for preliminary IP protection.